Born in South Florida, Dr. Garcia was raised on the outskirts of the Florida Everglades with a passion for animal conservation and community service. Prior to his career as a veterinarian, Dr. Garcia served as an emergency medical technician and firefighter. During that time, he remained passionate about animal care and continued his service as an active member and volunteer to multiple animal shelters and pet rescue organizations. His lifelong goal to become a veterinarian led him on the journey of a lifetime, to Massey University (New Zealand), where he spent over 6 years completing his veterinary training while making the best possible friends and memories abroad. Nine years later, Dr. G’s primary focus is small animal medicine, with a special interest in senior/geriatric patient care, feline medicine, (large breed) canine osteoarthritis, skin/ear/allergy ailments, and abdominal ultrasonography. In 2011, he completed a one-year imaging internship focusing on feline hyperthyroidism, abdominal ultrasonography, radiographic (x-ray) interpretation, CT and MRI at the Veterinary Imaging Center, San Diego (VICSD.com). He primarily treats dogs, cats, and pigs, but also enjoys reptiles and other hobby farm animals. On his off-time, Dr. Garcia enjoys international travel, having most recently visited Nepal, Philippines, China, Australia, Iceland, and Russia in the past two years. He hopes to continue to make connections around the world; returning later to implement programs that will improve animal welfare and prevent the spread of disease. He envisions himself helping animals, educating people, and having a positive impact in third world communities. Dr. Molina was born and raised in the cradle of great people of the enchanted island, Barranquitas, Puerto Rico. Growing up on a family farm it was no surprise when she decided to pursue her dream in veterinary medicine. Dr. Molina started her journey in Grand Cayman while attending St. Matthew’s University College of Veterinary Medicine and finished with a clinical year at North Carolina State University College of Veterinary Medicine. Dr. Molina received her DVM in 2013. After practicing veterinary medicine and working with some amazing veterinarians in the South Bay and Orange County area, Dr. Molina is now part of our family at My Pet Mobile Pet. 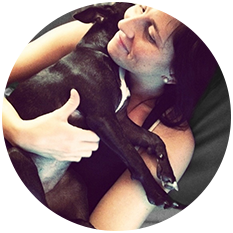 Her passion for animal health care includes fear free environment, geriatric health, preventive medicine, dental health, dermatology, pain management, routine soft tissue surgery and client education. Dr. Molina is a Member of the American Veterinary Medical Association (AVMA) and California Veterinary Medical Association (CVMA), and she is bilingual in English and Spanish. Dr. Molina feels that all animals are her little friends, and she considers her three furry friends at home her fur children, Parker, Little Friend, and Pito. 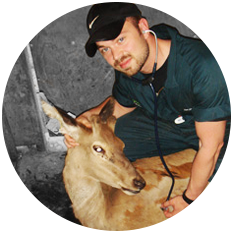 Hailing from Zimbabwe, Dr. T has been passionate about becoming a veterinarian for as long as he can remember. Having walked into the local veterinary practice at a tender age of 8 and seeing orphaned cheetah cubs in the dog kennels, he was hooked. The local veterinarian always made time for him and nurtured the interest. From treating dogs and cats, to going out to farms to treat cattle and horses, and even into the “bundu” (bush) to further educate him in conservation medicine. His dreams were fulfilled when he left Zimbabwe and started vet school in New Zealand; at one of the most recognized programmes, Massey University. It was here that he met Dr. Garcia. Dr. T has been fortunate enough to be affiliated with University of Pennsylvania, University of California, Davis and Cornell University for lengthy periods during his final year of study, where he had the privilege of learning from some of the world’s best clinicians. Most recently, Dr. T spent 6 months traveling to India where he was involved with an animal aid organization called ‘Help in Suffering.’ He volunteered his services, from de-sexing the overpopulated canine population, vaccinating for Rabies and treating the cohorts of diseased and injured animals that came in. Treating animals in an impoverished location offers unique challenges, and he hopes to venture out again to offer his assistance in third world countries. Raised in a small rural town just outside of San Diego, Gladys comes from a family that has always had a close relationship with and admiration for animals. Her journey took her to UCLA, where she graduated with a degree in Mass Communications. Gladys joined the My Pet Mobile Vet team in 2012 and in her short time with the company, has become an integral part of MPMV’s growth and development. She also enjoys some ‘hands on’ time, assisting Dr. Garcia on weekend and emergency calls. In her free time, you can find her rollerblading down the Venice boardwalk, or hiking Runyon Canyon with the official MPMV pet, Rugby, the Rhodesian Ridgeback. Christina Earnest lived in Columbus, Ohio, all of her life until moving to California in early 2013. Driving across the country with her husband (Seth) and their dog (Avalon, Boston Terrier) was one of her favorite experiences. She has enjoyed the companionship of multiple pets throughout her life including; 2 bunnies, 5 cats, 5 dogs, a ferret, multiple fish, tadpoles from the creek, a turtle, a guinea pig, and 3 hamsters. Needless to say her family and friends were very kind to allow housing each furry friend she fell in love with. A few of her favorite things include bowling, tasting & yelping about food and establishments, playing euchre, and napping – cuddled up with Avalon. Christina brings her extensive experience in business administration from both medical and corporate environments, including pharmaceutical knowledge and medical assisting. She is excited to join our team and is looking forward to coupling her strengths and experience with her passion and love of animals! Jessica was born and raised in Bangkok, Thailand before permanently residing in southern California in 1997. Passionate about animals since childhood, she has enjoyed the opportunity to volunteer for various non-profit organizations, as well as collect donations to hand out to the homeless and their furry companions. She received her Bachelor’s Degree of Science at Humboldt State University in wildlife management and conservation and is currently in the process of applying to international universities to enter a veterinary medical program. As a future wildlife vet her career goals include working in wildlife rehabilitation centers, conserving critical habitat for endangered species, and researching animal behavior all while traveling the world to experience its diverse cultures and landscapes. In her spare time she loves relaxing with her two beautiful cats, reading, hiking and running, bird watching, collecting bee specimens, or working on her crafts. Having worked at two previous veterinary hospitals she hopes to bring her enthusiasm and drive to the team and is excited to help people and their beloved pets. Diana moved to Los Angeles, CA from her small home town in Puebla, Mexico at the very young age of eight years old. Despite this drastic lifestyle change, her passion for animals and science remained, ultimately leading her to a rewarding career at My Pet Mobile Vet. Here, she hopes to help animals in need, as well as further expand her knowledge and skills, all whilst seeking a Bachelors in Biology in order to apply to a veterinary medicine program in the near future. Prior to being introduced to Dr. Garcia and his team, Diana did a variety of work and volunteering at shelters, adoption events, spay/neuter clinics and similar organizations throughout LA county. Animal welfare has always been of great importance to her, and it is because of this that she loves My Pet Mobile Vet and what it stands for. Diana also loves drawing, going to the gym, hiking, days at the beach and taking care of her three lovable nephews: Toby, Newman, and Bosco; Two mini schnauzers and a mastiff.